A native of Augusta, Georgia, Michael Landrum received the Bachelor of Music degree from Oberlin College and the Master of Fine Arts degree from California Institute of the Arts. After receiving the Doctor of Musical Arts degree in piano performance from Temple University, he became Professor of Music and Film Studies at Roberts Wesleyan College in Rochester, New York. In 1976, Dr. Landrum won first prize in the J.S. Bach International Competition for Pianists in Washington, D.C. He has performed widely in that area, both with orchestra, including the Baltimore Symphony, and as a solo recitalist. In the Upstate New York area, he has performed with the Buffalo Philharmonic Orchestra, the Rochester Philharmonic Orchestra, the Rochester Chamber Orchestra, and at numerous colleges and universities. He has an active career in chamber music as well, having made frequent appearances with the Society for Chamber Music in Rochester. Other concerts over the last few years include Montclair State University (New Jersey), Franciscan University (Ohio), and the Bible Institute of Los Angeles. He has been a faculty member of the Csehy Summer School of Music, both at Philadelphia Biblical University and at Houghton College, and is an Affiliate Artist with the Dorothy Taubman Institute. In late August of 2012, his double-disc Nocturne CD was released on the Sono Luminus label. It was selected as “CD Pick of the Week” on WETA in Washington, D.C., and “Album of the Week” on KDFC in San Francisco, and on WQXR in New York City. It was also the subject of an on-line essay in MUSICAL AMERICA. Dr. Landrum presented a Nocturne Lecture/Recital at the National Conference on Keyboard Pedagogy in Chicago in July of 2013, and performed a similar program at Le Moyne College in Syracuse in April of 2014, and at the University of Southern Mississippi in October of 2015. He has also been a frequent performer on the Live from Hochstein series, broadcast on WXXI in Rochester and surrounding areas. Joseph Werner enjoys a varied career as a soloist, collaborative artist, orchestral pianist, administrator, and educator. He has been the Principal Pianist for the Rochester Philharmonic Orchestra since 1975 and served as the orchestra’s Personnel Manager from 1993-2017. He was also Co-Artistic Director of the Society for Chamber Music in Rochester from 2000-20013. Active both in recital and as an orchestral soloist, Mr. Werner has performed numerous times with the RPO in concerto repertoire ranging from Bach to Gershwin. One of the busiest collaborative pianists in Rochester, he was the accompanist for the celebrated American violinist, Carroll Glenn, for many years, and performs regularly with a host of RPO soloists, Eastman School of Music faculty, and visiting artists. He has toured across the United States with Mark Kellogg, Professor of Trombone at the Eastman School of Music. In the fall of 1997, Mr. Werner joined W. Peter Kurau, Professor of Horn at the Eastman School of Music and Principal Horn of the RPO, for a three-week tour as Artistic Ambassadors for the United States Information Agency. They presented concerts and workshops of American Music in Serbia-Montenegro, Macedonia, Kazakhstan, and Syria. Mr. Werner’s recordings can be found on the Columbia, Vanguard, Musical Heritage Society, NEXUS, and Naxos labels. Most recently, he recorded an album of French music for trombone and piano with Mark Kellogg entitled “Impressions” and the world premiere of “Blue Windows”, a sextet for winds and piano written for him and the Antara Winds by the distinguished American composer, Libby Larsen. Mr. Werner is a graduate of the Eastman School of Music, where he earned both Bachelor’s and Master’s Degrees and the Performer’s Certificate. He is currently Director of Piano Studies at Roberts Wesleyan College and Co-Chair of the Piano Department of the David Hochstein School of Music & Dance. He won Hochstein’s first Faculty Service Award in 1990 and was honored as Mu Phi Epsilon’s “Musician of the Year” in 2007. 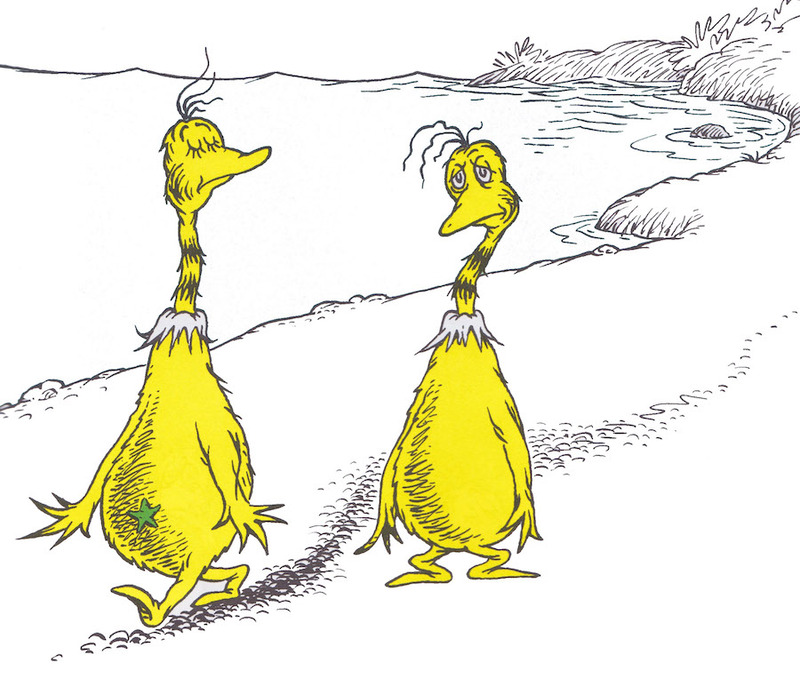 Michael Landrum and Joseph Werner played the world premiere of the “Sneetches” in 2011, with John de Lancie as the narrator, and under the caring guidance of the composer, Lorenzo Palomo. Steven Stull is a frequent performer with the Rochester Philharmonic and was seen in seven RPO concerts in 2018, narrating and singing a variety of pieces including Prokofiev’s Peter and the Wolf, Copland’s A Lincoln Portrait, and the Dr. Seuss stories, The Sneetches and Gerald McBoing Boing. He has sung sixty performances with Symphoria and Syracuse Symphony including nine productions with the Syracuse Opera. He has been a soloist the West Virginia Symphony Orchestra in nearly eighty performances and can be heard in their recordings Home for the Holidays and Tales from the West Virginia Hills. His other recordings include Christmas from the Heart of New York, The Pulse of an Irishman, Opera Cowpokes, and Boyz in the Wood with the Cayuga Chamber Orchestra. A graduate of the Eastman School of Music and Oberlin Conservatory, Steven has appeared Steven has appeared with Glimmerglass Opera, Society for New Music, Cayuga Chamber Orchestra, Tri-Cities Opera, Artpark, Brooklyn Academy of Music, Kyrgyz State Opera, Opera Theatre of Pittsburgh, Oswego Opera, Anchorage Festival of Music, Buffalo Philharmonic Orchestra, Opera Ithaca, Erie Philharmonic, Erie Chamber Orchestra, Jacksonville Symphony, and Norwalk (CT) Symphony. Recent performances include soloist in Handel’s Messiah, Bonhoeffer in Hugh McElyea’s Tenebrae: The Passion of Dietrich Bonhoeffer, Curly in Oklahoma!, and Frank Baum in the new opera Pushed Aside by Persis Vehar. He will join the RPO in late April as Sherlock Holmes in “Sherlock Holmes and the Case of the Missing Maestro”. Since 1990 Steven and choreographer Jeanne Goddard have presented an eclectic series of music and dance performances on the CRS Growers organic vegetable farm overlooking Cayuga Lake in Ithaca, NY. Jeanne Goddard has trained and performed with Bill T. Jones and Arnie Zane, June Finch/Danceworks, Saga Ambegaokar/Saga Dance Company, Beverly Brown, Susannah Newman, Lois Welk, and Jill Becker and Dancers. Her work has been commissioned by ballet, modern dance, and opera companies, public television and the Western New York Institute for the Arts in Education. She has also created movement for opera and musical theatre for over twenty years, working at the Eastman School of Music, the Syracuse Opera, Western New York Opera Theatre (Buffalo), Tri-cities Opera (Binghamton), and Ithaca Opera. Jeanne holds an M.A. in dance from SUNY Brockport and a Certificate in Movement Analysis from the Laban-Bartenieff Institute in New York City. She has taught movement workshops for singers at Glimmerglass Opera and SUNY College at Fredonia, and Laban Movement Analysis workshops at SUNY Brockport, Hobart and William Smith Colleges, and at several American College Dance Festivals. Jeanne was a founding member of FLOORPLAY Contemporary Dance Theatre in Buffalo, New York, and Firehouse Dance Company, an improvisational cooperative, in Ithaca, NY. With partner Steven Stull, she directs the CRS Barn Studio, teaching and co-producing multidisciplinary performance events. She is Emerita Professor at Wells College, having taught dance technique, improvisation, composition, dance history and women’s studies courses from 1987 - 2016. Jeanne recently choreographed Karen LeFrak's "Cake" for the Cayuga Chamber Orchestra.